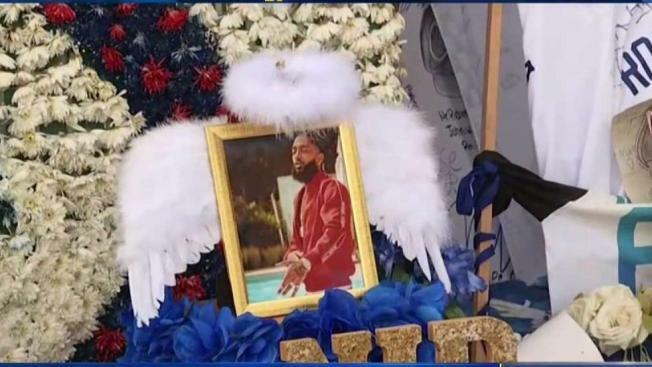 "Don't take nobody else's life over no foolishness"
Rival gang members in South Los Angeles talked peace on Monday, weeks after rapper Nipsey Hussle was killed near his storefront. "It woke us up," said Shamond "Lil A.D." Bennett, of the Rollin' 60s of the shooting. "It made us look like, damn. Like, little bro! Nip didn't deserve that." Hundreds of gang members gathered outside Hussle's Marathon Clothing store in in South L.A. on March 31 after the rapper was shot there. They vowed to put down their weapons in his memory. Said LaTanya Ward, of the Black Stones, "I think it's everybody's brainchild. ... It's a lot of people who are tired. Way more people than just us." The neighborhood is too familiar with gang violence — in May 2015, a mentally disabled teenager was fatally shot over his red shoes. Hussle's fatal shooting brought a wave of sadness in South L.A., where he grew up and which had sought to empower through his music. 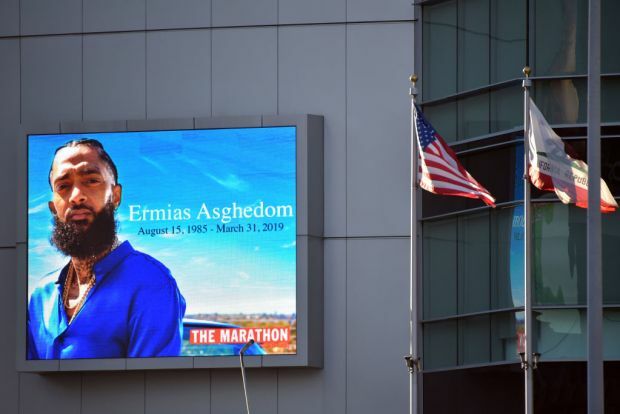 Hussle had recently purchased the strip mall where The Marathon is located and planned to redevelop it, part of his effort to remake his childhood neighborhood and attempt to break the cycle of gang life that lured him in when he was younger. Days after his death, Hussle was scheduled to meet with members of the Los Angeles Police Department about combating gang violence. Now, gangs plan to embrace Hussle's message to focus on building the community up, including jobs and rumor control so that random crimes aren't blamed on gangs. They plan to meet privately so as not to violate anyone's probation. Bennett shared a message to nonbelievers. "If you're not with the movement, get out the way," Bennett said. "Don't take nobody else's life over no foolishness." 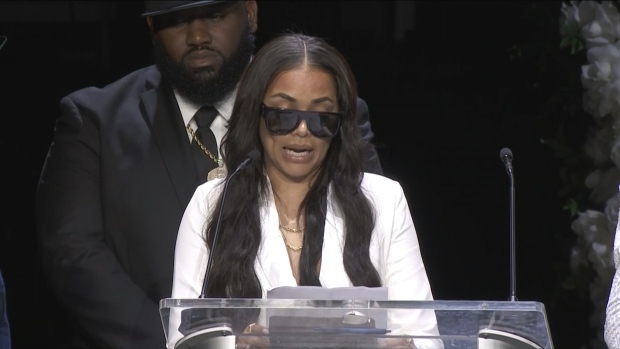 Lauren London reads an emotional text message she sent Nipsey Hussle before his death on March 31. She called him "the greatest boyfriend" and wrote that "my love and my devotion is to you." London shared a 2-year-old son with Hussle. An LAPD said that police are aware of the movement but are not involved.